Starting each April, the WJC Brotherhood Men’s Softball Team plays in the fast-pitch Westchester Hebrew Softball League (WHSL), competing among 18 teams representing Synagogues and Jewish Men’s Organizations across the County. 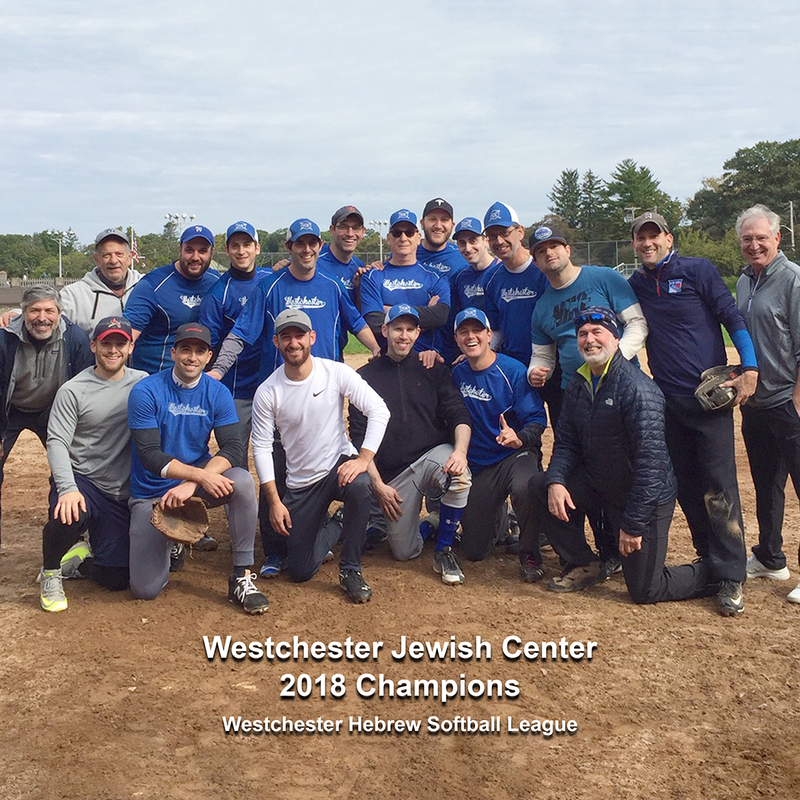 This past fall, WJC defeated arch-rival B’nai B’rith in the League Championship series, bringing the trophy back to WJC. PLEASE CALL RIGHT AWAY IF YOU ARE INTERESTED IN JOINING US OR KNOW OF A COMPETITIVE PLAYER WHO CAN HELP WJC DEFEND THE CHAMPIONSHIP! Upon entering the League in 1986, the Team experienced some very lean years; progress was made through the ‘90s, and the men achieved WJC’s first ever Championship in 2012, repeating in 2014 and 2015. After being eliminated in semi-final playoff rounds in 2016 and 2017, the Team regained the Championship in 2018. In quest of defending the League Championship once again, the Team is seeking new competitive players, any age (16+), who are interested and available on most Sunday mornings from April through October. Many players on our team have played at the high school varsity baseball level or above. If interested, please contact either Art Kaplan (914.948.1178; akaplan@kaplanmrd.com) or Dan Kaplan (914.522.7870; dkaplan22@gmail.com) right away. The Team will be holding practices on March 31 and April 7 at 930 a.m. at Gillie Field #2 in White Plains – weather permitting. Interested players should attend on at least one of these dates. The season is scheduled to open on April 14.